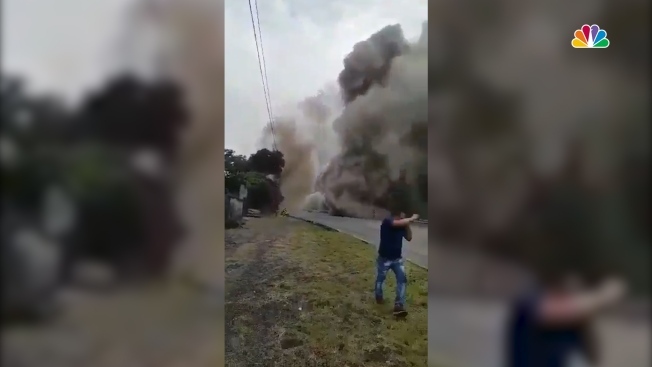 Guatemala's Volcano of Fire released a flow of burning sediment and rock Saturday, causing authorities to order new preventative evacuations almost a week after the initial eruption left at least 110 people dead and about 200 missing. 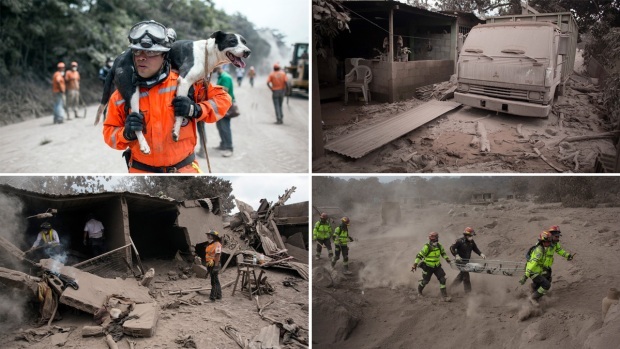 Guatemala's seismology and vulcanology institute said the new lahar — a flow of mud, debris, water and pyroclastic material — was fed by rains and tore down trees as it swept through ravines and gullies. Later Saturday, a rise in the Panaleon river caused by the new outflow led authorities to evacuate 72 people from the community of Santa Lucia Cotzumalguapa. Institute director Eddy Sanchez said the risks from the Volcano of Fire are not over even though its activity has been decreasing. He said the last time it erupted it took two and a half weeks for the volcano to return to normal. Official search efforts for the missing were suspended for the third straight day Saturday amid dangerous conditions. But in places like San Miguel Los Lotes families and volunteers continued the search. More than 4,000 people remained in shelters after last Sunday's eruption, where aid has begun arriving along with complaints about how it is being distributed. Authorities in Guatemalan have already launched an investigation into the official response to the crises. In Guatemala City, meanwhile, about 1,000 people blew whistles and carried torches and banners in a protest against the official handling of the tragedy.